How does your workspace reflect wellbeing? 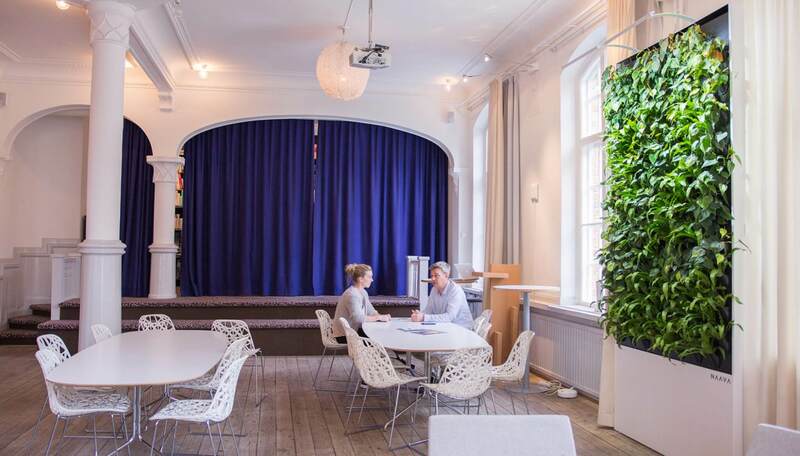 A cozy work environment supports employees’ wellbeing which in turn increases productivity. Simple as that. But what does workplace wellbeing actually mean? How can it be increased and what effect does it have on productivity? Workplace wellbeing is comprehensive. Single, occasional health stunts are not an efficient solution to comprehensive health and wellbeing. Instead, wellness should be part of a company’s strategy on a day to day basis. SEB focuses on creating a workplace which supports cooperativeness and communality. Workplace wellbeing comes from work that is safe, healthy and productive, and carried out by professional employees in a well managed organization with a tight-knit work community. In addition, employees should feel that their jobs are rewarding and support their general life management. 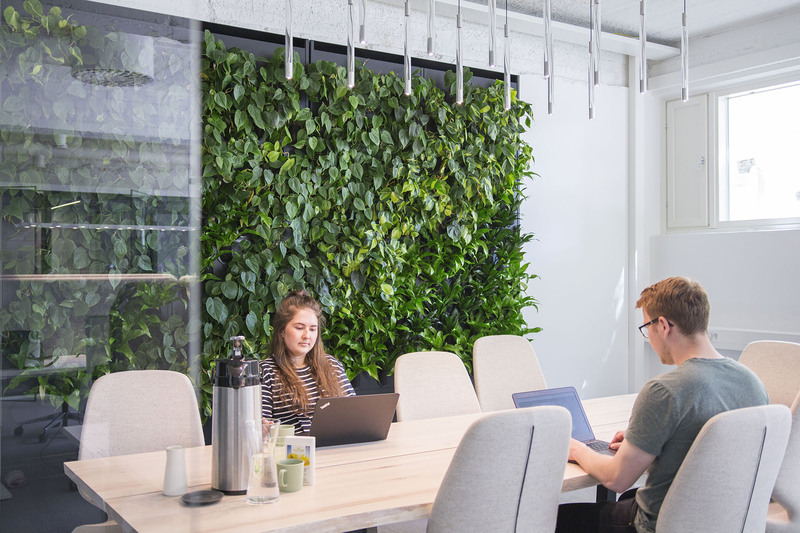 Workplace wellbeing has a positive connection with employees' productivity, customer satisfaction, fewer sick leave days and enhanced accident prevention. Investing in the wellbeing of employees also supports a positive corporate image which adds to the company’s PR value. In other words, the money invested in workplace wellbeing will pay for itself in the long run. At Nike Communications, Naava works as an element which shows that the company wants to invest in its employees' wellbeing. However, it’s important to pay close attention to what kind of investments you make to ensure maximum positive effect. For instance, one day’s fitness class may be nice but the benefits won’t take you far in the long run. 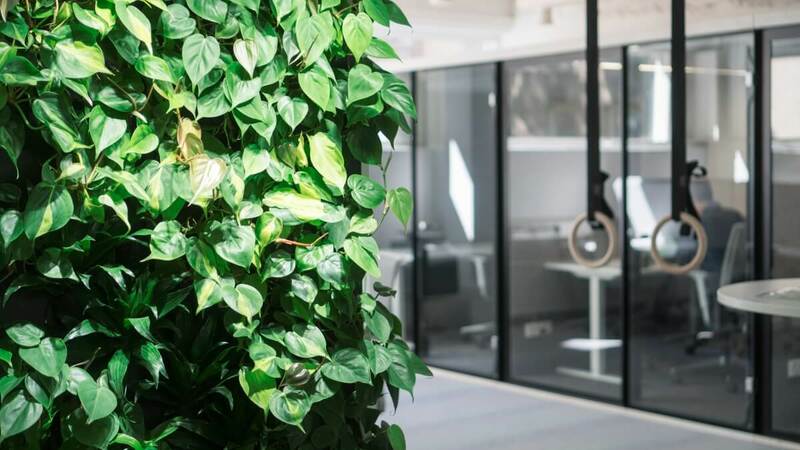 That is why it’s wiser to invest in features around the office, as offices are a passive yet efficient way of daily affecting every employee’s wellbeing. Delos, a pioneer of built environments supporting human health and wellbeing and one of Naava's biggest investors, also encourages investing in wellbeing in the long run. The founder and CEO, Paul Scialla, believes we should invest in creating human-friendly buildings by bringing in more light and pure air. Delos’ WELL Building Standard certificate is used to assess buildings’ effects on human health and wellbeing , which in turn can tell a lot about a company’s health related expenses in the long run. 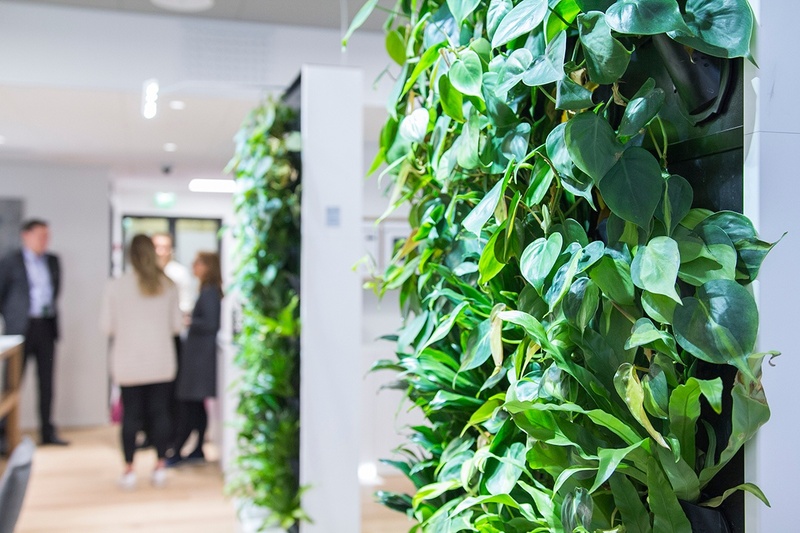 The goal for the future is for all buildings to be human-friendly as we start to pay more and more attention to comprehensive health and wellbeing. A good work environment supports its employees’ basic needs: the success of a company can be positively affected by taking care of people’s basic needs. According to Maslow, the most important of these are physiological needs. These are things we need in order to stay alive, such as food, water and air. It’s not until we have these needs covered that we can move on to the next level of basic needs. 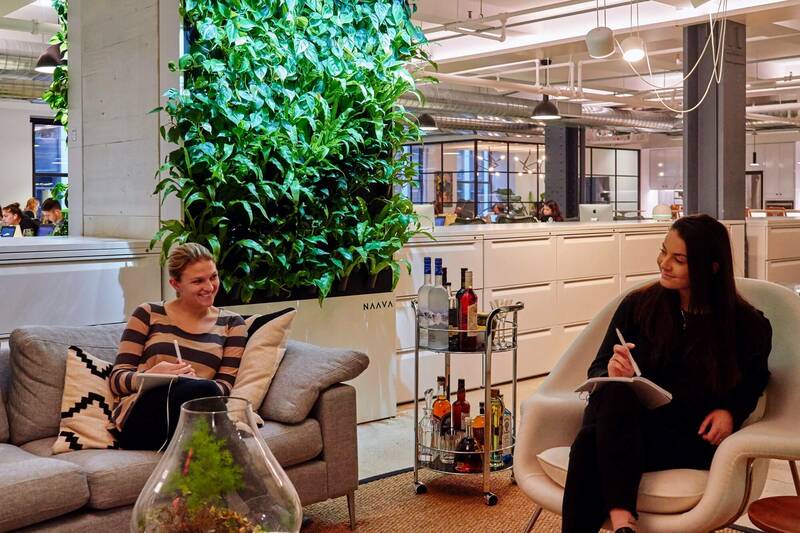 People who spend 8 hours a day inside these four walls, the employees, are the biggest assets of the company, yet their wellbeing and productivity is often not supported by the space. At Vincit, Naavas help enhance productivity. Vincit is a software development company which has been chosen as the Best Place to Work in both Finland and Europe. CEO Mikko Kuitunen explains the rationale for investing in the wellbeing of his staff: “Success lies with the people. To attract and retain the most talented people, we have to offer them the best possible environment to work in”. Naavas are keeping the air fresh at JCDecaux. Outdoor advertising agency JCDecaux reinvigorated their work community with an extensive renovation. The demand for enhanced workspaces came from the employees themselves, and was also carried out according to their needs. Every floor of the building was renovated and air ventilation, work equipment and ergonomy were invested in more than ever before. 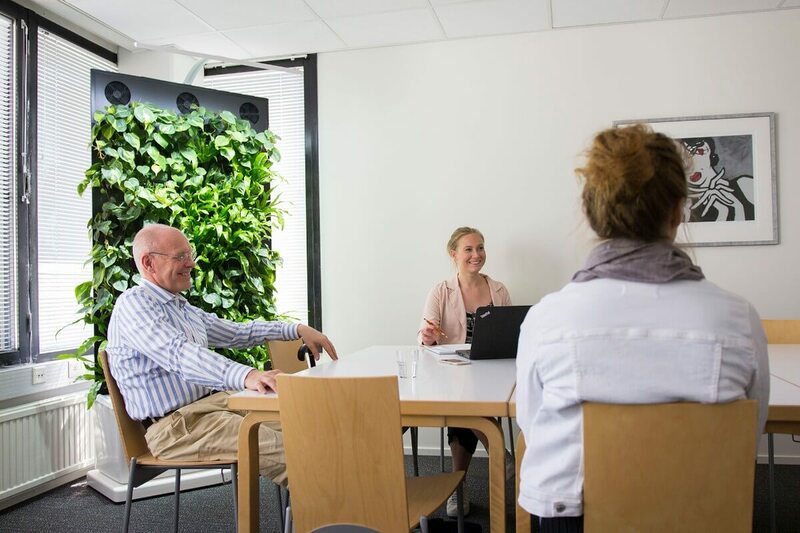 “Upgrading the workspaces where we spend most of our time at work was a big part of enhancing employee wellbeing and increasing inner motivation”, explained Klaus Kuhanen, CEO of JCDecaux’s Finnish branch. In addition to increased motivation, the company wished to enhance productivity. 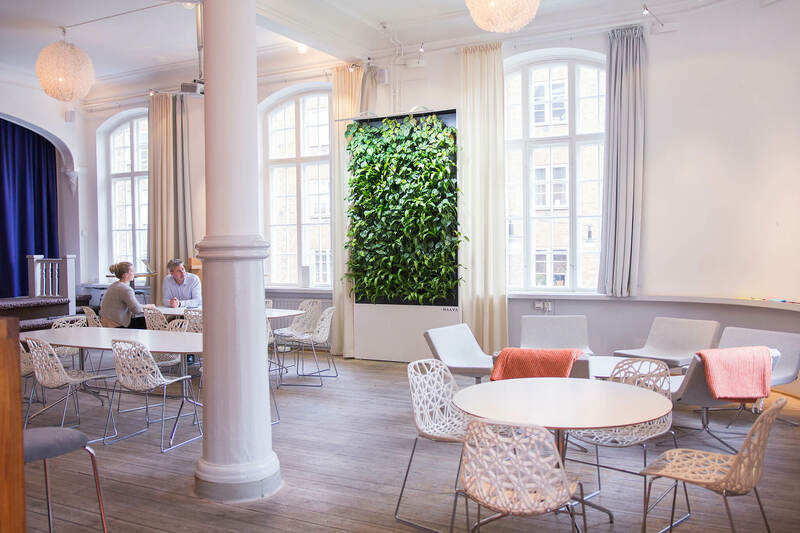 The infamous afternoon slump was fought with a set of Naava smart green walls to ensure better air quality. The Naavas brought their own added value to the mix of other fixes made. Together with the improved ventilation, the afternoon slump has been defeated and symptoms of allergies alleviated. We all get sick sometimes and not even the healthiest of us can avoid every flu outbreak, accident or stressful life change. However, a generally healthy person who feels well at their workplace is less likely to take days off from the job. There are many reasons for taking days off but poor indoor air is known to have a significant impact on the number of sick leave days at the workplace. Poor quality of indoor air can cause multiple different symptoms ranging from tiredness and headaches to nausea and excessive coughing or even asthma and heart disease. With SBS (Sick Building Syndrome), these symptoms occur in certain buildings, and in worst cases, they can intensify to the point where spending any time in said buildings may become impossible. 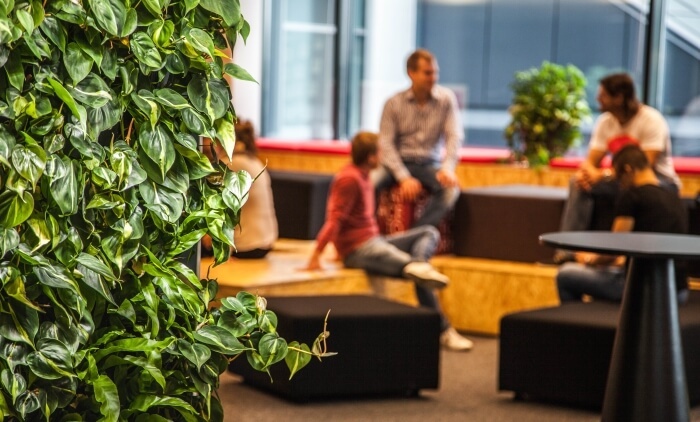 Improving indoor air quality at the workplace can decrease sick leave days by up to 35%. Not only do companies lose money when an employee is off sick, but they may also take a hit from the work left undone. If you are interested in learning more about how much sick leave days may be costing your company, check out this page. How would you want to improve workplace wellbeing? A Naava in the office is a visible sign of wellbeing. If you’d like to hear more, contact our experts.